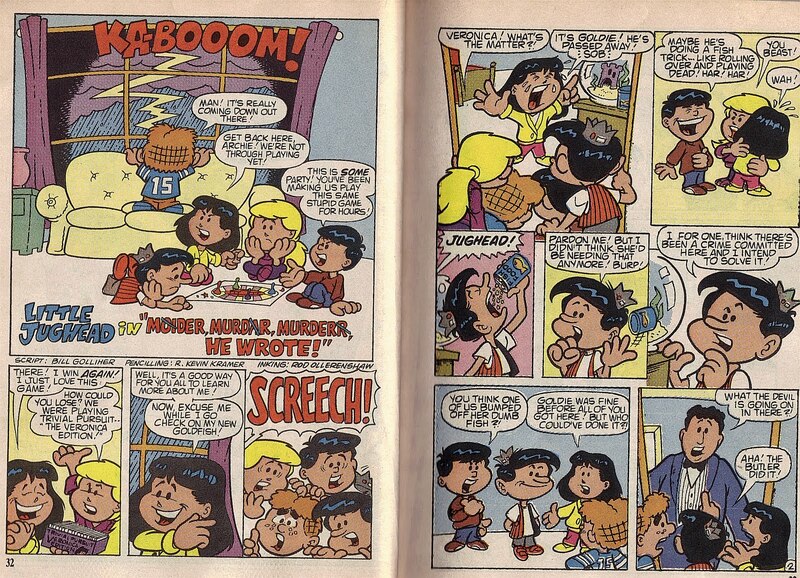 The main man responsible was artist Frank Rocco, who drew the bulk of what was in Issue #1. 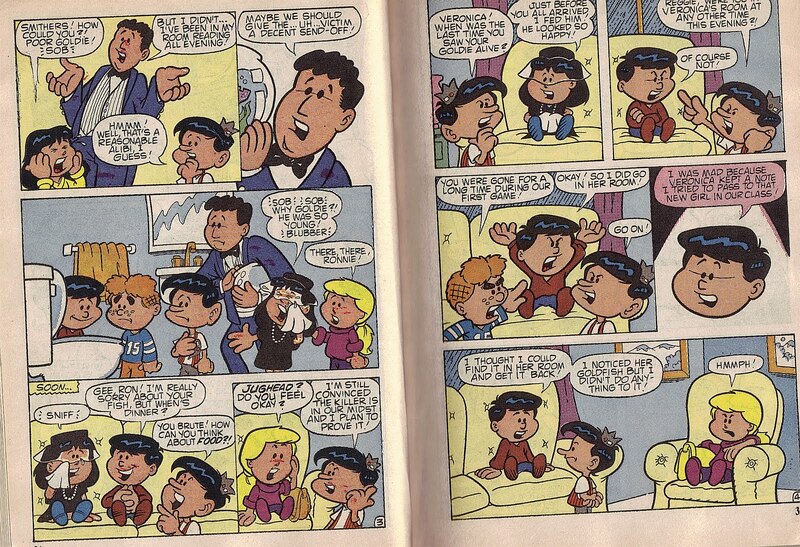 Issue #1 was excellent, but it must have tired Rocco out. 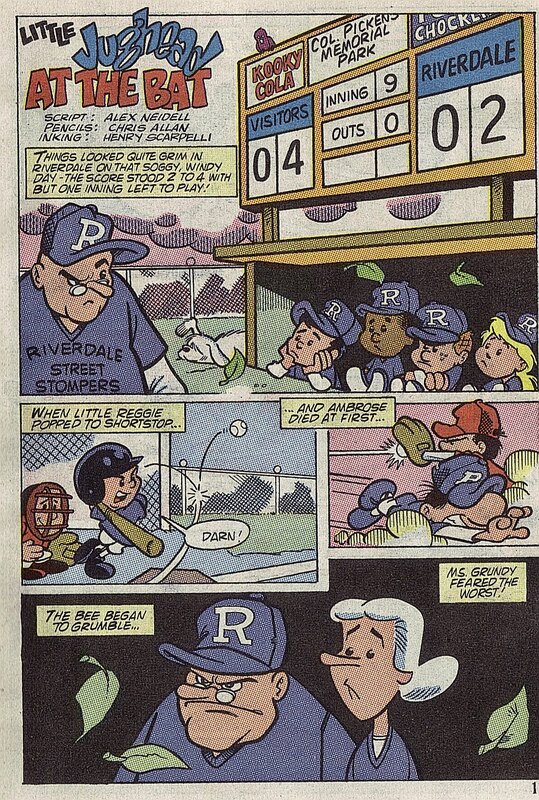 He quit, and they had to find a replacement. 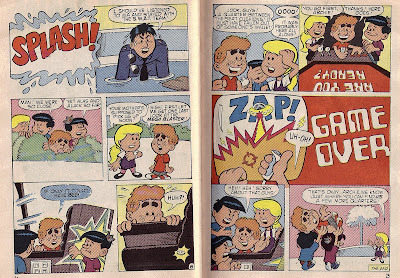 They stupidly handed the reins over to supergeek Joe Edwards, who gave the comic a preschool mentality that nearly killed it. 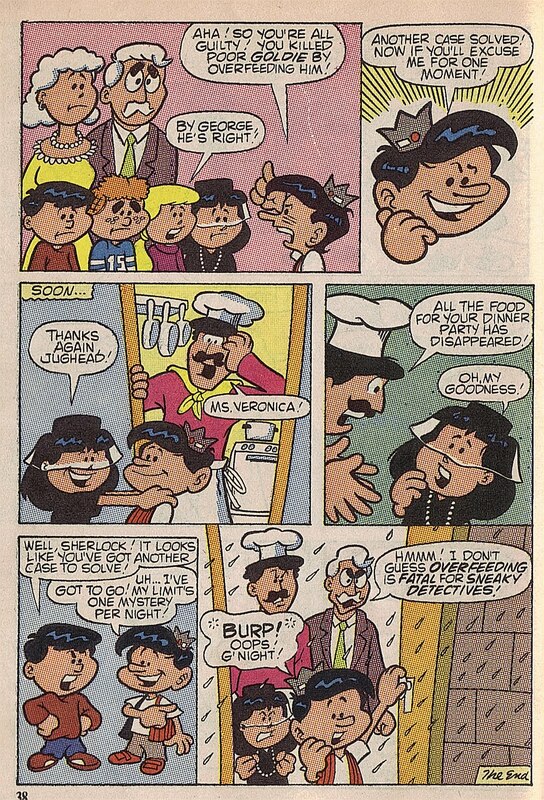 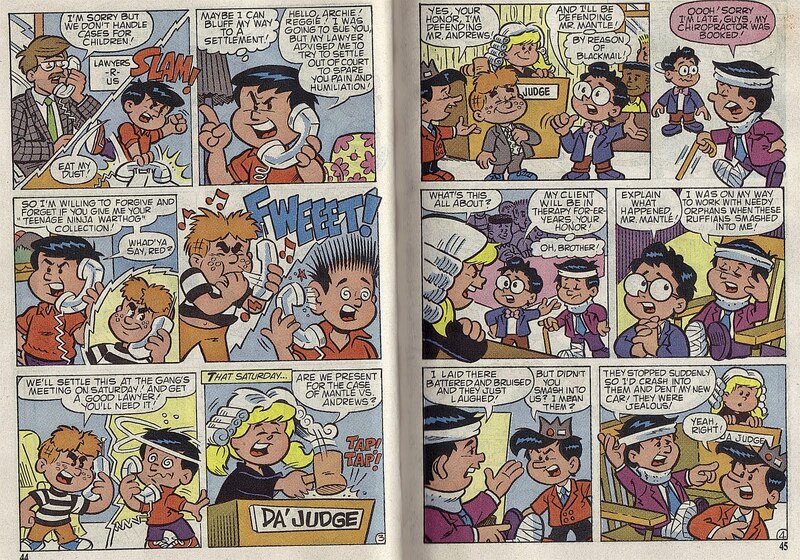 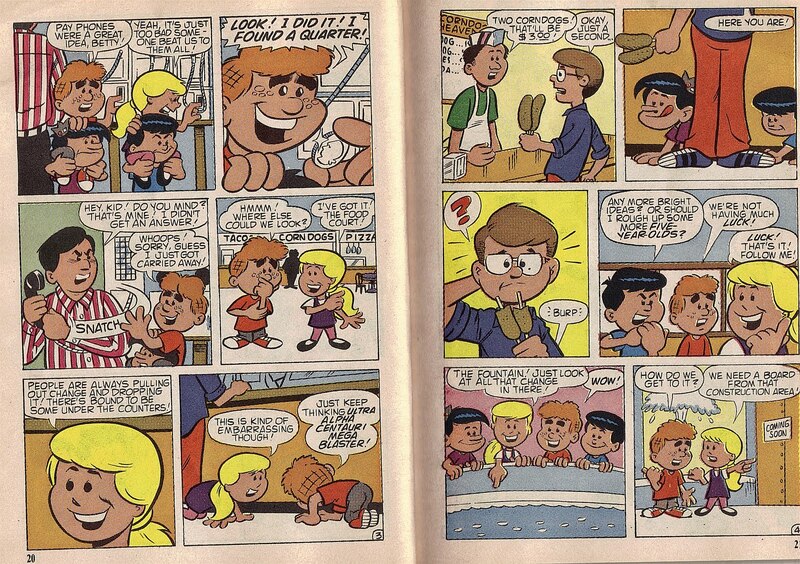 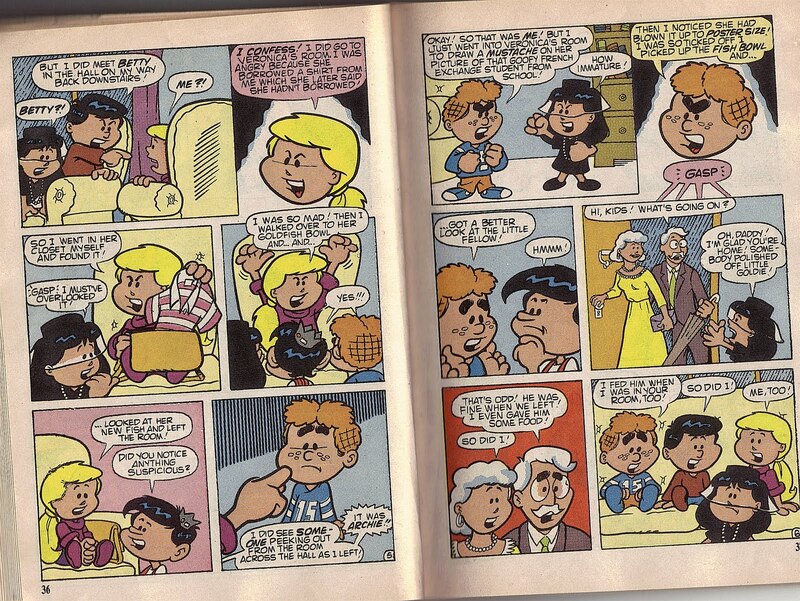 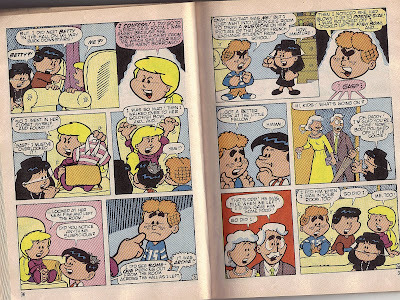 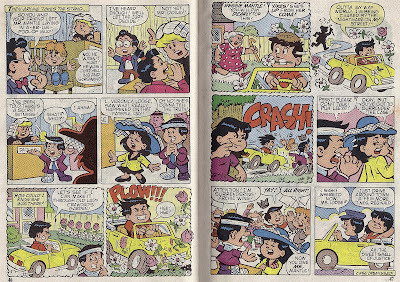 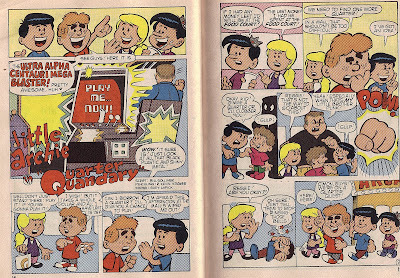 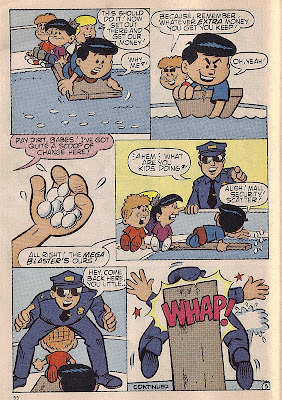 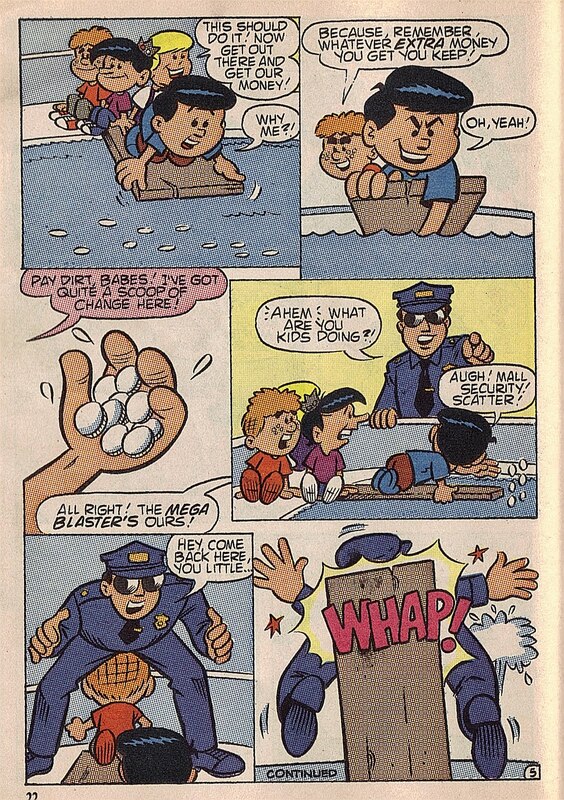 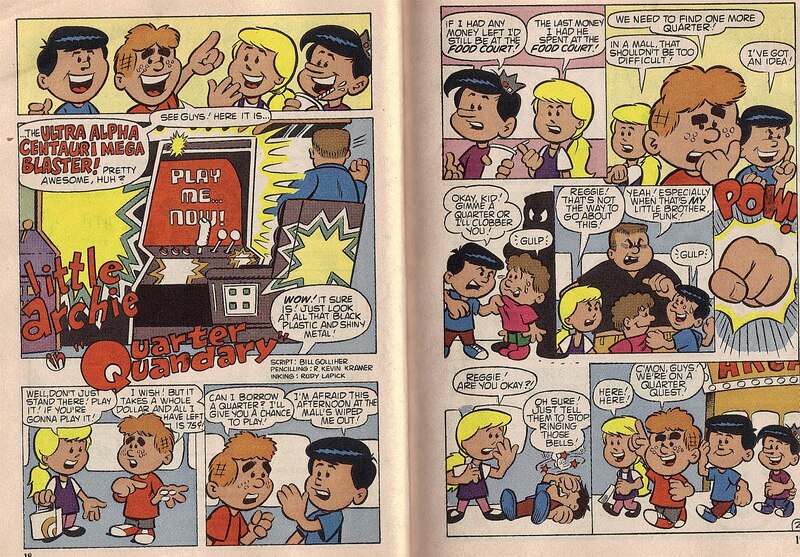 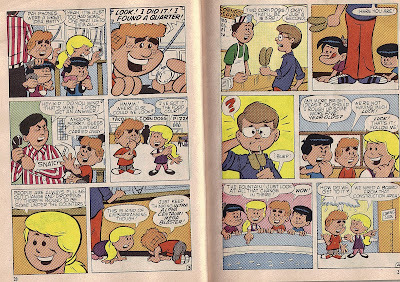 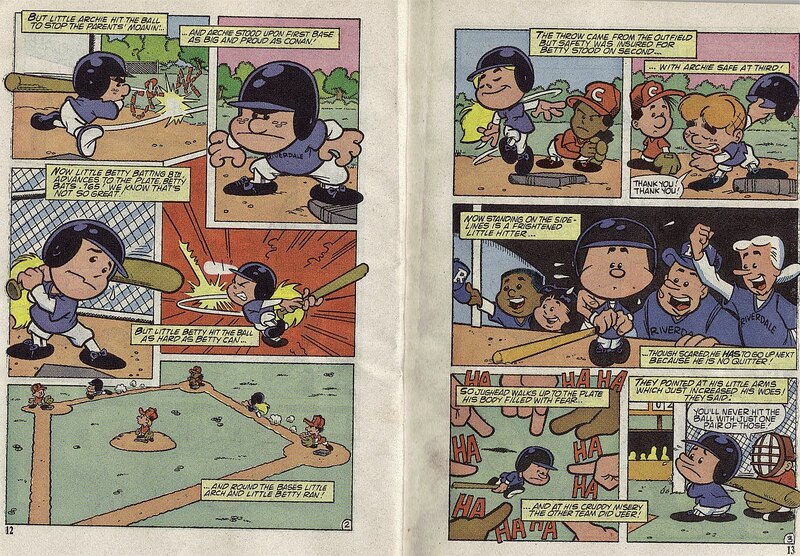 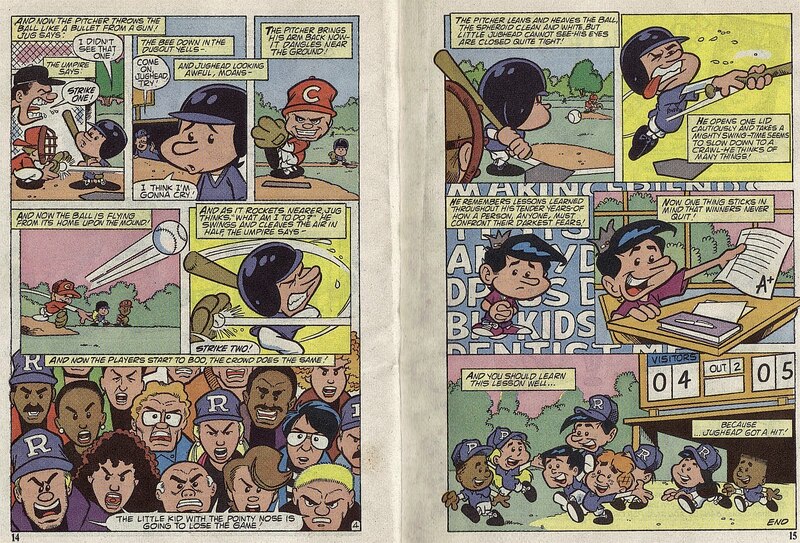 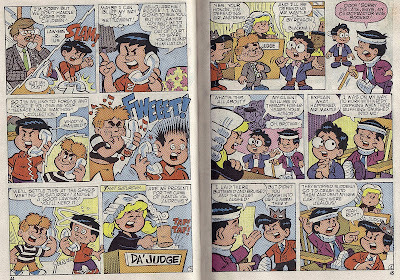 Dan Parent would later take the reins turning The New Little Archie into a decent digest yet again. 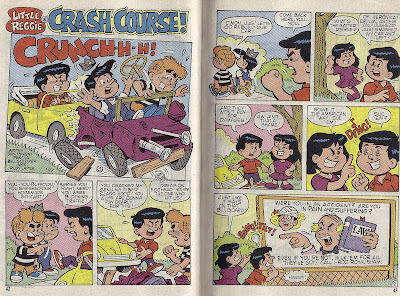 Sadly, The New Little Archie Digest Magazine would come to an end and replaced with your generic Little Archie from the 1950s. 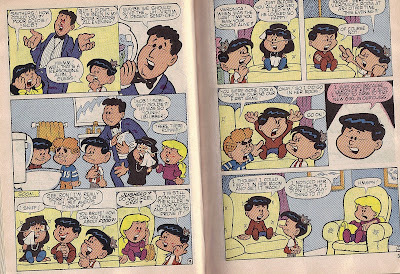 But the new Little Archie, with a more animated look, would be some of the best to come out of Archie Comics and they are my favorite digests, next to my collection of Laugh. 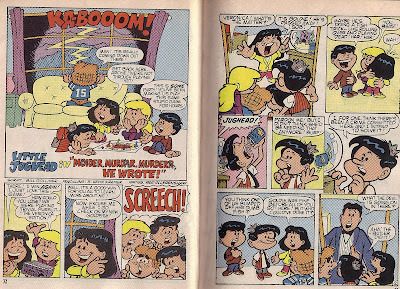 "Moider Murdar Murderr He Wrote"
All characters Copyright (C) 1992 Archie Comics Publications, Inc. All rights reserved. 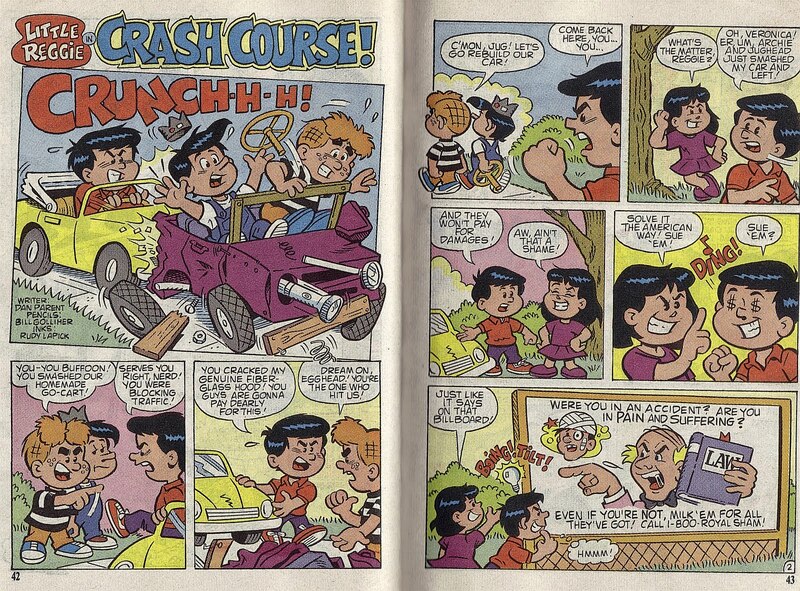 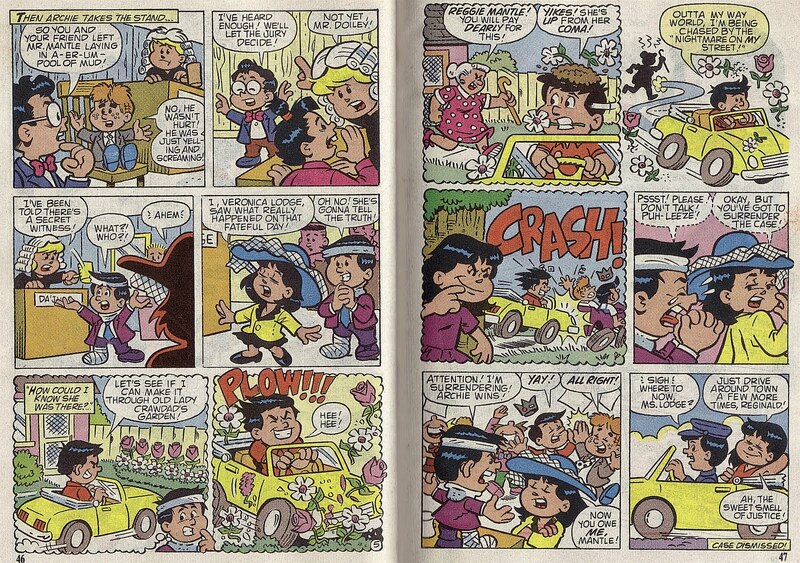 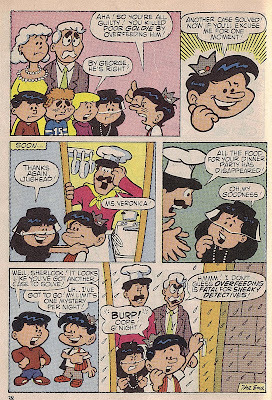 All characters Copyright (C) 1992 by Archie Comics Publications, Inc. All rights reserved. 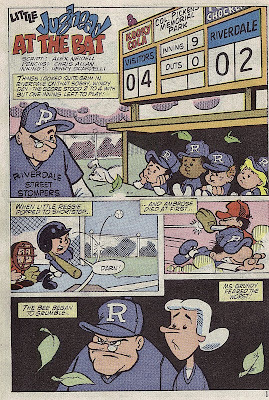 "Little Jughead at the Bat"